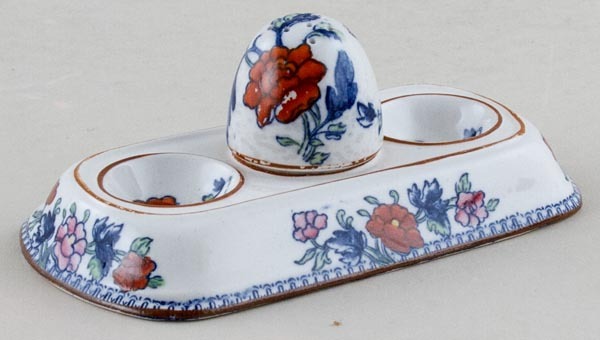 Small stand with a central pepper pot and two side indents, the latter having printed decoration to them. From the breakfast in bed set. Backstamp:Booths Silicon China Made in England. The base has a little minor wear. The pepper pot has a little wear and some mottling within the glaze.